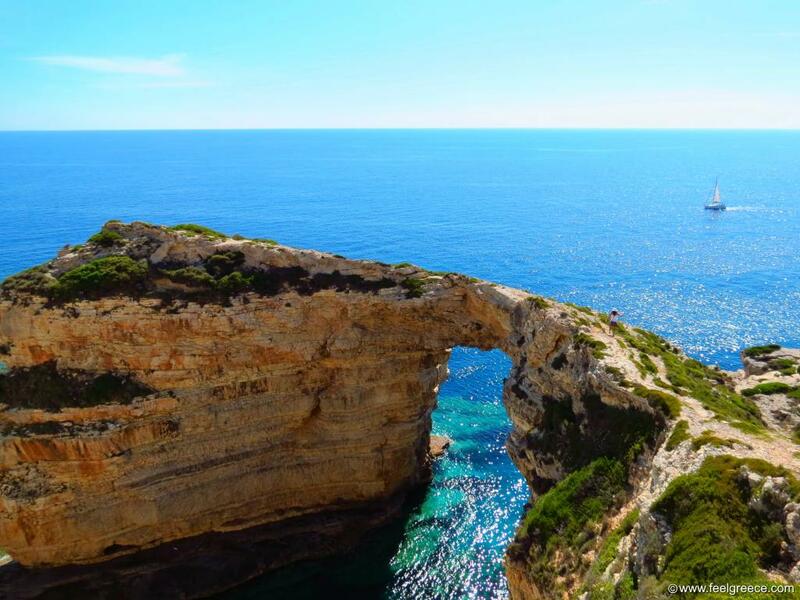 Tripitos Arch in Paxos island. 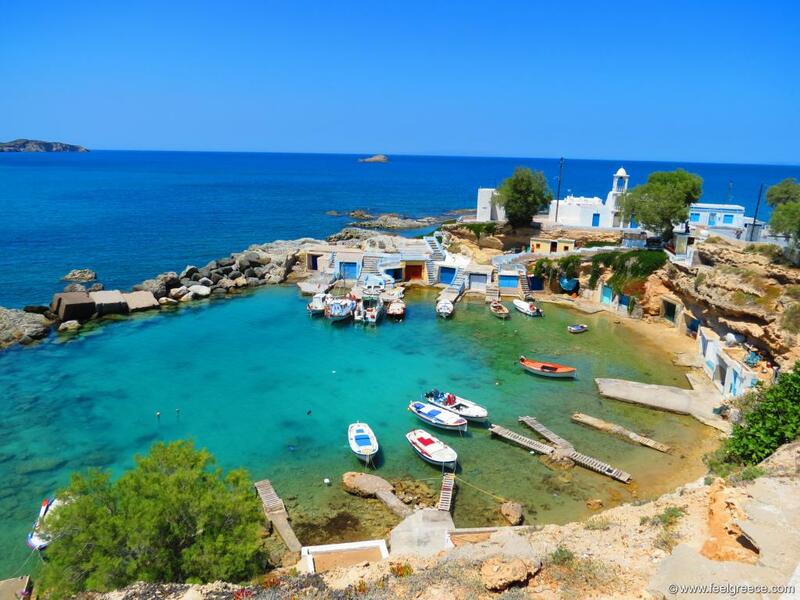 Mandrakia is small fishing harbor and village with few houses, tavernas and church. It is located in the norther part of Milos island. 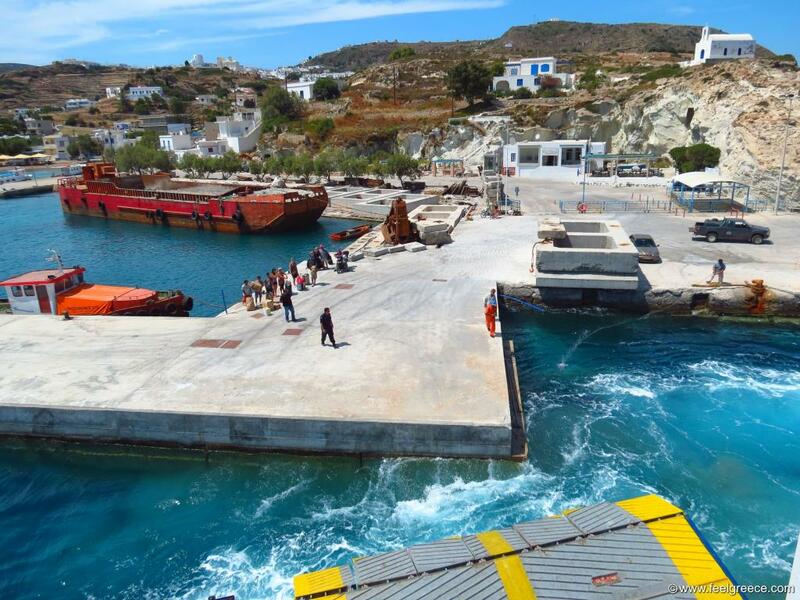 The ferry maneuvers around the Psathi pier of Kimolos island. Zographou Monastery view from a nearby hill church. 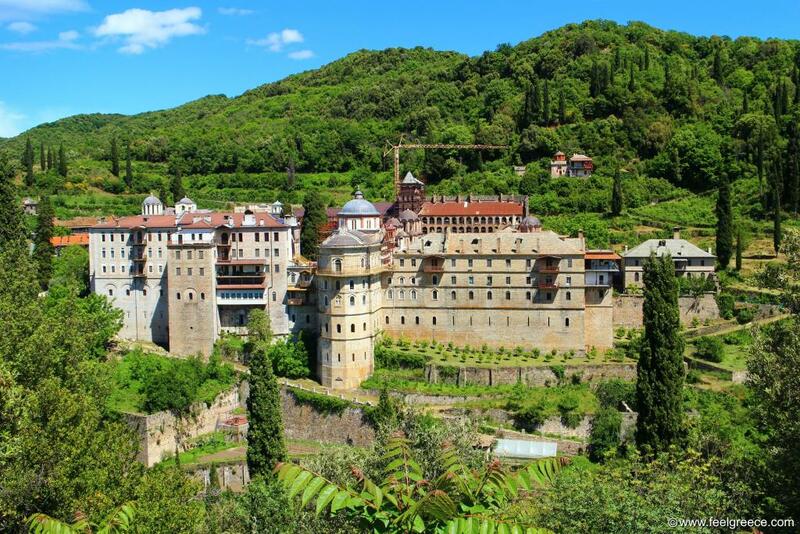 In Holy Mountain, Halkidiki peninsula. 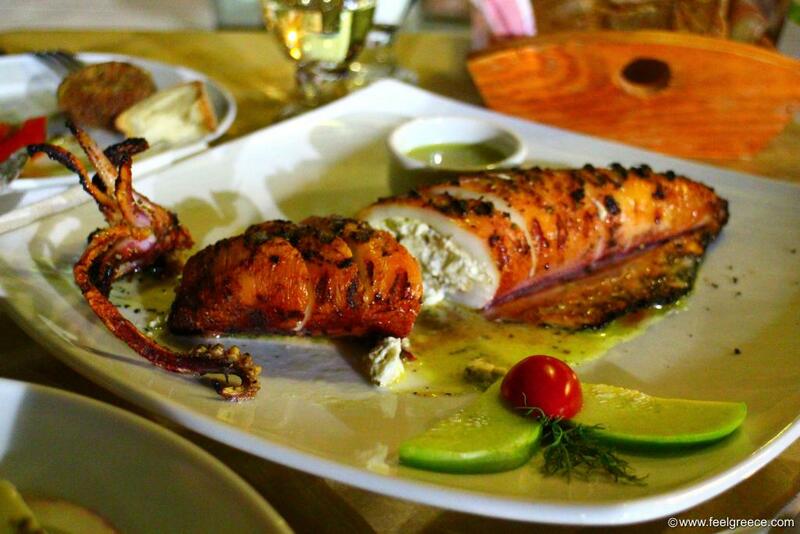 Kalamari Gemisto - stuffed calamari said in Greek language. These ones are from Galissas in Syros island.